Visiting Cape May is always fun. In the Fall the birds migrate through by the thousands. 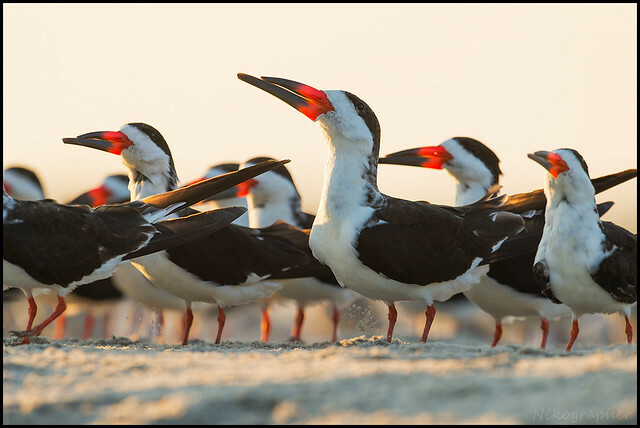 The flock of Black Skimmers are along the beach near the Arcade or west of there often. 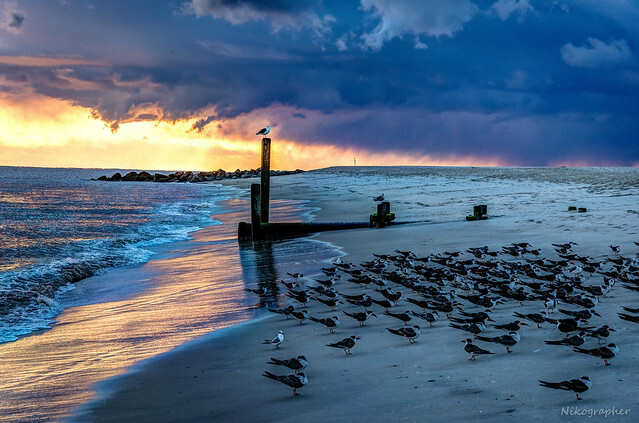 A storm passing at sunset made for a dramatic image. 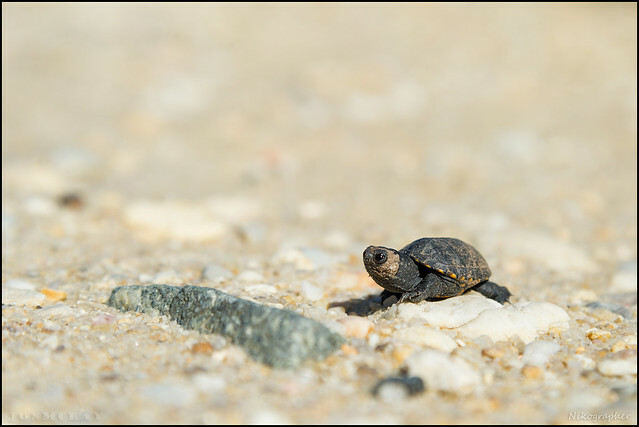 This tiny little turtle was crossing the path at The Nature Conservancy’s Meadows – I was struck buy his tiny form, and potential big future ahead – if he could survive the challenges and overcome all the obstacles. 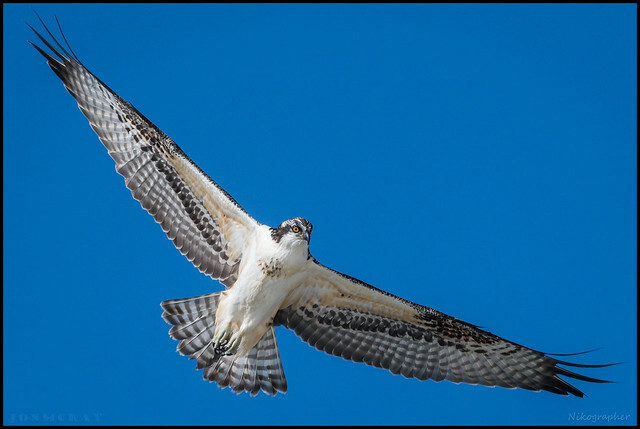 Another creature with challenges ahead was this young Osprey. It was hunting for and catching small fish in the patch of ocean behind the meadows / east of the State Park. 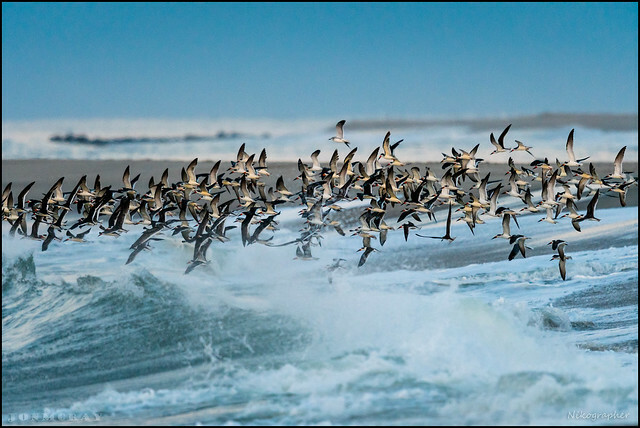 This image was pleasing to me – it shows the power of the ocean, the unity of the skimmer flock, their joint fate. 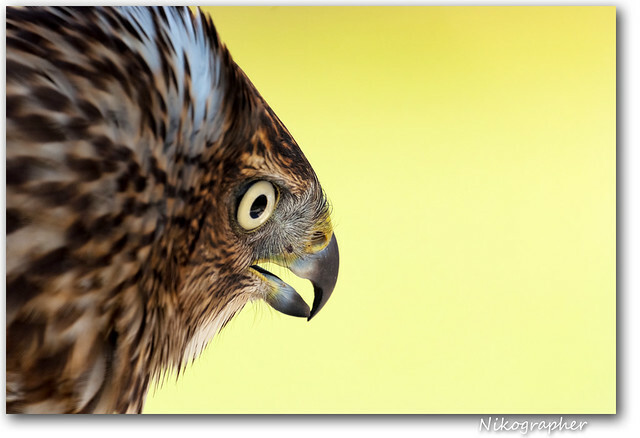 The hawk banding demos are good times to see the birds up close and some times get a good image. This was taken on a Saturday at 11:30am at The Meadows where they do a demo / talk. There are also demos at the State Park next to the hawk watch platform, on Saturday and Sunday at 10am (roughly September and October). See more image in my Flickr set – Cape May NJ.